Aubrey, I've known the fear of losing but now I am almost too frightened to win. 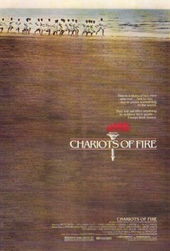 The title sequence of 1981’s Chariots of Fire is one of the most recognizable instances of slow motion in all of cinema, second only to Raging Bull. Featuring a parade of young men jogging through sand and surf in slow mo, the sequence has been parodied countless times in movies, television, video games, and even books, and has made composer Vangelis' piano-and-synth piece almost synonymous with the act of running. On the surface the Chariots of Fire opening is simply a celebration of youth and athleticism. It is certainly that, but it also effectively establishes the world and characters that inhabit it without a single line of dialogue. The sequence acts as a mirror to the realities of class and privilege in 1920s Britain, from the rigid Perpetua typeface, to the order in which the runners appear, and even how they run. By the time the Carlton Hotel comes into view the audience is equipped with everything they need to know. 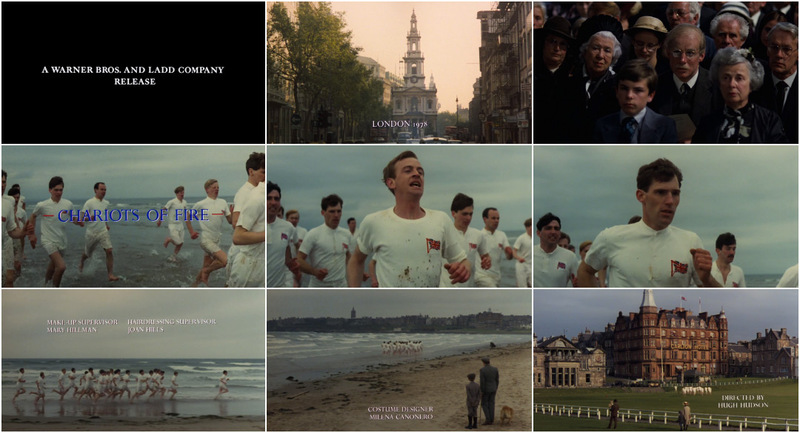 Based on actual events, Chariots of Fire centers on two British athletes – Eric Liddell (Ian Charleson) and Harold Abrahams (Ben Cross) – training to compete at the 1924 Paris Olympics. Liddell, a devout Scottish Christian, has his faith tested by his desire to run, while Abrahams, an English Jew, runs to overcome intolerance in a deeply prejudiced society. The most indelible part of the film's opening is inarguably Greek composer Vangelis’ Oscar-winning score. Director Hugh Hudson originally intended to use Vangelis’ 1977 song “L’Enfant” as the film’s title track, even going so far as to play the song over loudspeakers during the location shoot. Vangelis eventually convinced the director to allow him to compose an original piece for the film’s opening, but the similarities between the two pieces are obvious. An instrumental version of “L’Enfant” even appears later in the movie. 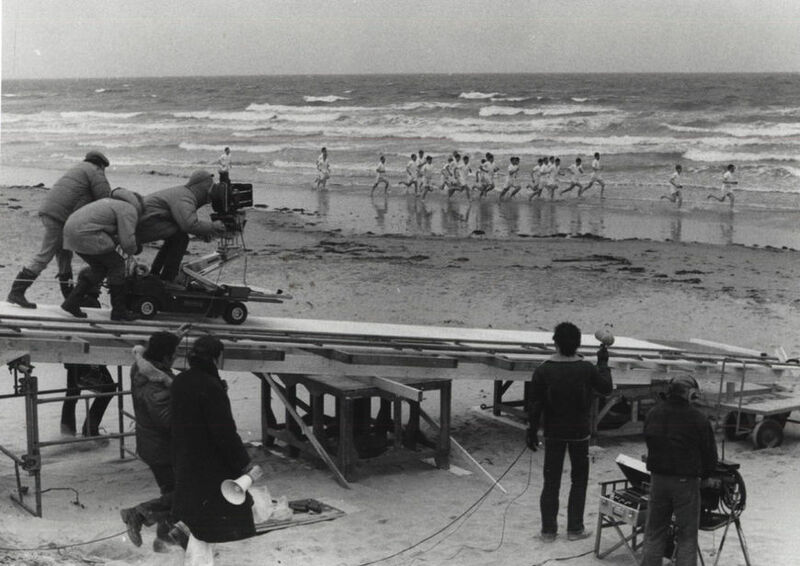 Shooting the Chariots of Fire opening in St Andrews, Scotland, April 24, 1980. Note the warm clothing worn by the crew. The shoot was also no day at the beach for the cast. Despite the gorgeous backdrop the weather conditions were chilly at best. Filming began early on the morning of April 24, 1980, a time of year when the average high in St Andrews hovers around 9°C (48°F). Repeated takes and repeated runs were required on both filming days because the tracks that the camera ran on kept sinking into the sand. In a 2012 interview, actor Ben Cross called shooting the opening scene “hell” but praised results.